No more need for the 100 foot hose, the mess or the watering hassle. 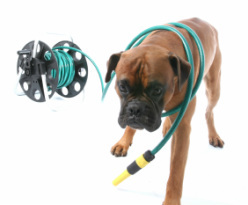 Are you tired of dragging hoses and sprinklers throughout your yard? Does your lawn have brown spots that are caused from uneven watering? Finding that it's hard to make time to water at all? Getting the correct amount of water on your lawn at the right time is critical to keeping it healthy, beautiful and weed free. Proper irrigation also helps to achieve the full benefit of fertilizer and herbicide applications and can eliminate the expense of wasteful overwatering. So stop dragging hoses all over your yard. ﻿Contact B﻿rownell Landscape Solutions today for a free no obligation estimate on a professionally designed and installed irrigation system that will dramatically improve the overall look and health of your lawn. Getting the proper amount of water on your lawn at the correct time is vital to the appearance and health. We offer professional irrigation services that include precise measurements of your property, evaluation of soil type, grass type and other factors to help us design the best irrigation system for your lawn. We use only professional grade products from Rain Bird Irrigation and Hunter Industries as they are the leaders in residential irrigation. We will provide you with a custom drawing of your irrigation system so that you will always have a reference and guide in case there are any problems that may arise in the future. WORK LESS. PLAY MORE. WE'VE GOT SOLUTIONS!